Today, I thought I’d share a few general thoughts on collaboration. One of our hopes for the future of Rabble & Twine is to use collaboration as a tool to build an innovative creative community. I may be beating a dead horse here (grossest saying ever?) since it seems like everything has already been written about the subject. BUT we love it and think it’s a great way to take everyone’s creative process to the next level. So here we go! One of our first nights out in Durham was a trip to see Three Acts, Two Dancers, One Radio Host as part of the American Dance Festival. 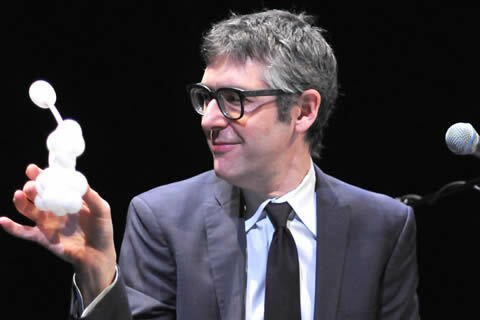 The performance is a collaboration between This American Life’s Ira Glass and Monica Bill Barnes & Company. If the name doesn’t give it away, the show combines two art forms that as Glass says “have no business being together.” Dance presented in a typical proscenium setting and storytelling a la radio show format. Full disclosure, the odds were stacked that we were the ideal audience for this show. Obviously, we’re dance fans, we can’t get enough of interdisciplinary work, and we love Ira Glass! We love him even more after seeing the show because he can make ballon animals. 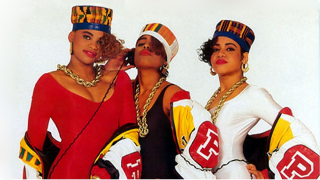 In my humble opinion, Three Acts, Two Dancers, One Radio Host was a true collaborative success. There was a real ebb and flow to the work. Everything seemed to be given equal weight which can be difficult in collaborative situations. 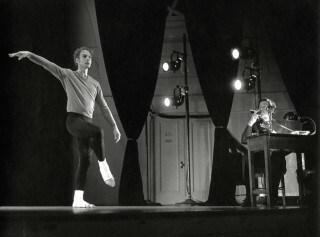 They pushed the basic concept of ‘dancers perform while radio host tells stories’ in different and unexpected ways, partly by incorporating the creative process into the show’s narrative itself. As Ira himself confessed, this experiment could have failed big time. Interdisciplinary collaborations like Three Act, Two Dancers, One Radio Host add another level of intrigue to the creative process because each medium has it’s own vocabularies and work strategies. The way a musician looks at something can be very different from the way a sculptor would. Does that mean that they should throw in the towel because finding common ground is a challenge? Hell no! If anything, they should work together more. Expand your world view, yo! Work of this kind allows you the opportunity to see and create things in a new way. A chance to get outside your artistic habits, explore a different role, or focus on particular aspect of creating that you might not gravitate toward when you’re workin’ solo. Plus, it’s nice to talk it out, create a dialogue, and share in creating something with another person. Right? Right! Collaboration can be easy or a ton of work, depending on who you’re working with. It requires a lot of give and take. It’s a delicate balance to share ideas and have each voice be heard. You need to flexible, but not so flexible you lose your artistic integrity or your aesthetic. Teamwork! Hard truth: Not everyone is good at it. And some people just don’t get along. Find people that respect and encourage your vision, and reciprocate the sentiment.. In order to push your creative boundaries you need to come to the table open to the experience. It boils down to COMMUNICATION. Personally, I think that LISTENING is key. Really listening, actively listening, not just waiting for a person to shut up finish so you can share your idea. Competition and egos have to be left at the door, and that alone can be tough! 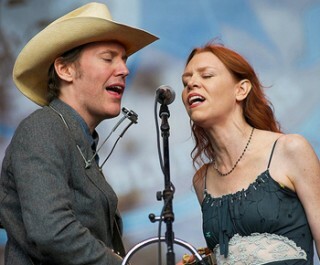 Trust, respect, and dependability lead to successful collaborations in art (and in life). I think the best collaborations create something bigger and better than the sum of its parts. The payoff is a hybrid creature that may never have existed otherwise. Maybe you’ll expand your view of the world, and hopefully the view of the audience. Luke and I collaborate on projects quite a bit, and I’m always amazed at how he approaches something in a totally different way than I do. 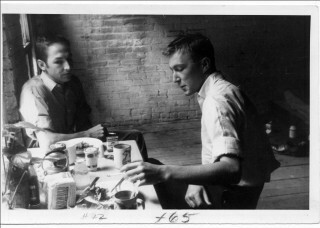 Interdisciplinary work offers a unique learning opportunity to grow as an artist and a person. Who are you collaborating with these days? Who makes your list of fav collaborations? Comment below! 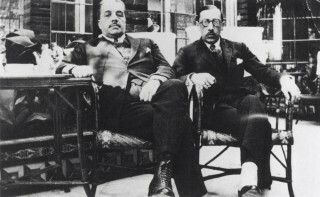 As founder of the Ballets Russes impresario Diaghilev brought together some of the most notable artists in Paris at the turn of the century. Perhaps the most enduring works were products of his collaboration with composer Igor Stravinsky, including the revolutionary "Rite of Spring"
John Cage & Merce Cunningham collaborated over the years together as well as with architects, visual artists, and other creative folk. 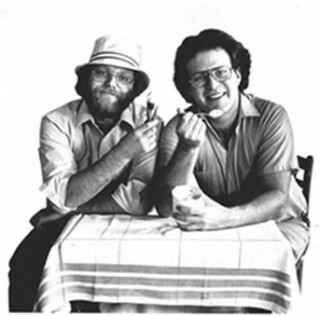 Ben & Jerry, of ice cream fame, were childhood friends before completing a correspondence course on how to make ice cream together. 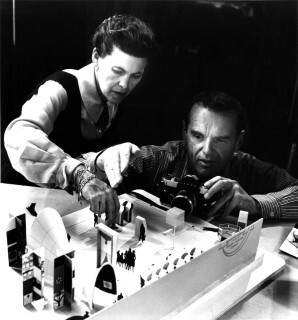 Perhaps best known for the "Eames Chair", together these designers made major contributions to architecture, design, and beyond. 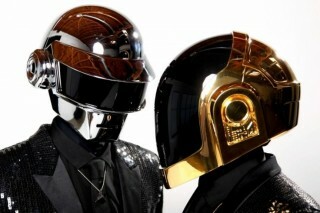 Better known as Daft Punk, this duo just makes some great music. Straight up.